if you're looking for a custom solution to your double door(or larger) opening, look no further. 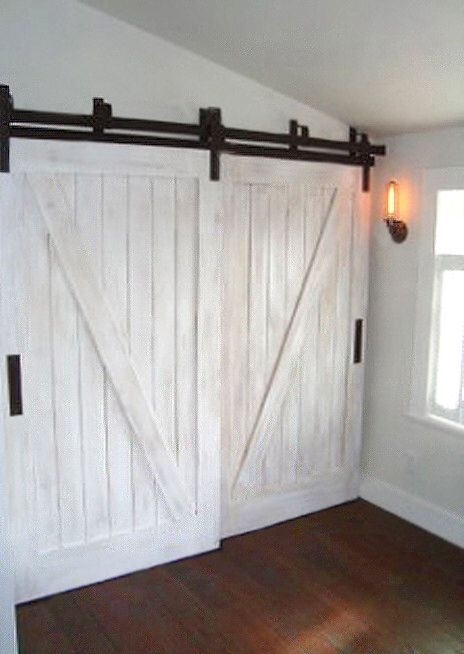 Our bypass sliding barn door hardware will provide you with a solution tailored to your setup. Our price starts at $1199, this includes two 38inch (or smaller) custom pine barn doors with custom stain and the full bypass hardware kit. Call us at 647-457-6011 or chat with us live for your quote today!